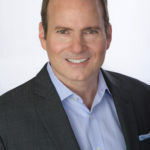 Peter is a global marketing and innovation senior executive & CMO with 28 years of leadership across diverse industries in consumer and business products, services & technology for market leaders such as Capital One, Hershey, General Mills, US WEST (Qwest), and Ameritrade. His ability to ignite dramatic growth & profits with breakthrough strategies/innovation has enriched all his work. As CMO at The Hershey Company, and reporting to the Chairman and CEO, Peter led all global innovation (product, packaging, digital/business model) and reenergized it to drive bolder thinking and greater speed to market. He managed Hershey’s iconic global brands, advanced capabilities, enhancing the Hershey marketing model to fully embrace digital, social/insights-driven marketing and developed new campaigns that spurred growth. Previously, Peter served in executive roles at Capital One, culminating in that of SVP, Brand Marketing, Capital One Financial. Leading the teams that supported all the lines of business with strategic and tactical marketing, he and his team developed/launched successful products across card, retail & digital banking and drove dramatic growth in consumer and business segments. Before, Peter served as CMO at TruSecure Corporation, later acquired by Verizon. He built the marketing, rebranded the company, designed new offerings for medium and large enterprises, built an inside sales/lead generation capability, and drove 340% growth in < 3 years. Earlier, Peter served as CMO at Ameritrade. He built a team of 35 professionals, managed a $150M budget, drove unprecedented new account growth (90,000 to 500,000) at record low acquisition costs & increased revenues from $65M to $650M. As Founder of CMO Inc., Peter now advises organizations on marketing and brand strategy and speaks to groups around the world on leadership challenges in modern marketing. He also writes for Forbes and CMO.com, and is the author of the forthcoming book Marketing in Tribal America.